Sen. 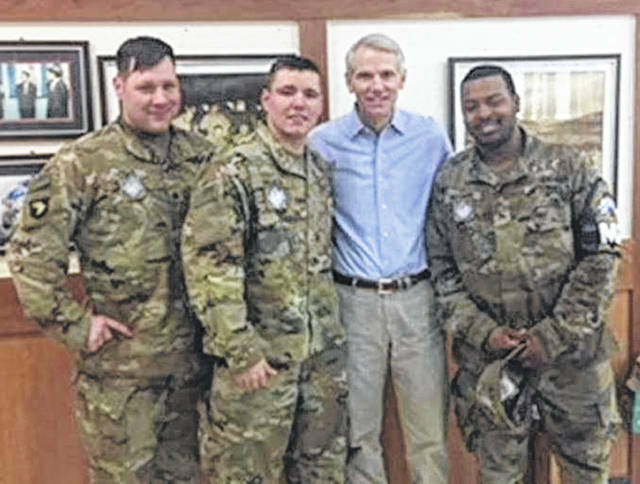 Rob Portman met with troops at the DMZ and also talked trade with representatives of South Korea. U.S. Senator Rob Portman (R-Ohio) visited South Korea this week, meeting with the South Korean Trade Minister and other trade officials, the U.S. Ambassador, and the commander of U.S. forces in South Korea. Portman is part of a bipartisan congressional delegation trip to East Asia to discuss U.S.-South Korean trade and other bilateral issues, the U.S.-North Korea nuclear negotiations, POWs/MIAs, and visit the demilitarized zone, according to a news release from Portman’s office. 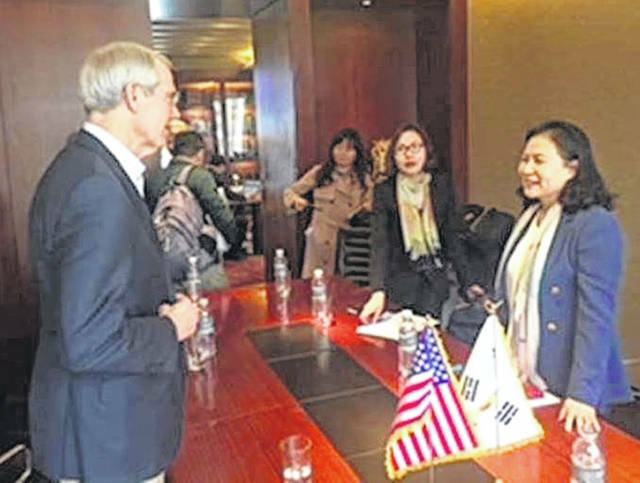 Portman was able to hold one-on-one discussions with South Korean trade representatives and discuss ways to open up the South Korean markets to more agriculture, auto and other manufacturing exports from Ohio. He traveled to the demilitarized zone between South Korea and North Korea and visited with troops from Ohio. And he raised the memory of Otto Warmbier on several occasions, including in the demilitarized zone, with South Korean government officials and with a North Korean defector he met with to discuss North Korean human rights abuses. This is the first stop in a multi-day, multi-country oversight visit led by Senator Patrick Leahy (D-VT). Other senators on the delegation trip are Senators Lisa Murkowski (R-AK), Debbie Stabenow (D-MI); Sheldon Whitehouse (D-RI), Tom Udall (D-NM), Mazie Hirono (D-HI), Tim Kaine (D-VA), and Tammy Baldwin (D-WI). “I appreciated the opportunity to visit South Korea, a country I visited during my time as the U.S. Trade Representative. The United States and South Korea share a deep, long-standing friendship and this is a critical time in our relationship. In our discussions with government officials, the topic of North Korea was a constant point of discussion. I support the direct dialogue between President Trump and Kim Jong Un and I am hopeful that this dialogue can translate into meaningful progress. But I believe our sanctions must remain in place until North Korea truly changes course and agrees to denuclearize. We discussed ways to keep North Korea from circumventing the sanctions, and how to keep pressure on North Korea. As we continue to face together the threat that North Korea poses, I look forward to an even stronger alliance with South Korea in the years to come. “Being in the region, I could not help but think of Otto Warmbier and his family,” Portman added. “Otto has been at the front of my mind while I’ve been here and I’ve made clear to South Korean government officials that we must never forget him. I also met with a North Korean defector to hear more about what it’s like inside North Korea and the country’s human rights abuses. As our dialogue with North Korea continues, part of those discussions must be about North Korea’s human rights abuses and how they must change. “During my visit, I was proud to meet with brave men and women from Ohio who were in the demilitarized zone serving on the frontlines to protect the people of South Korea from potential North Korean aggression. I am so grateful for the incredible sacrifices that our soldiers make on our behalf and I was honored to visit with them during my time in South Korea.